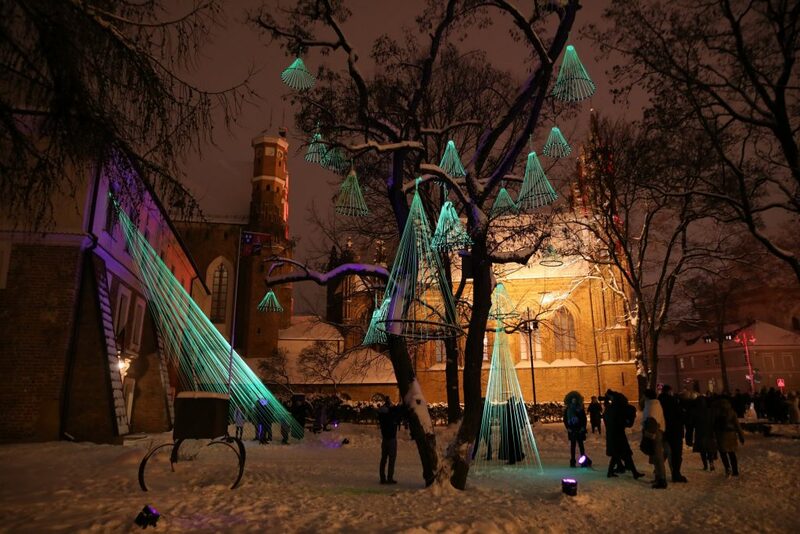 Vilnius celebrated its 696th birthday full of light and with crowds of enlighted people – according to the calculations made by the organizers of the event, about 130 000 visitors of the festival enjoyed 27 light installations displayed for three consecutive evenings. The entire route of lights was full of visitors, and lines formed at the entrances to certain objects. “Gediminas of Nowadays” was one of the most photographed installations and widely shared in all social networks. 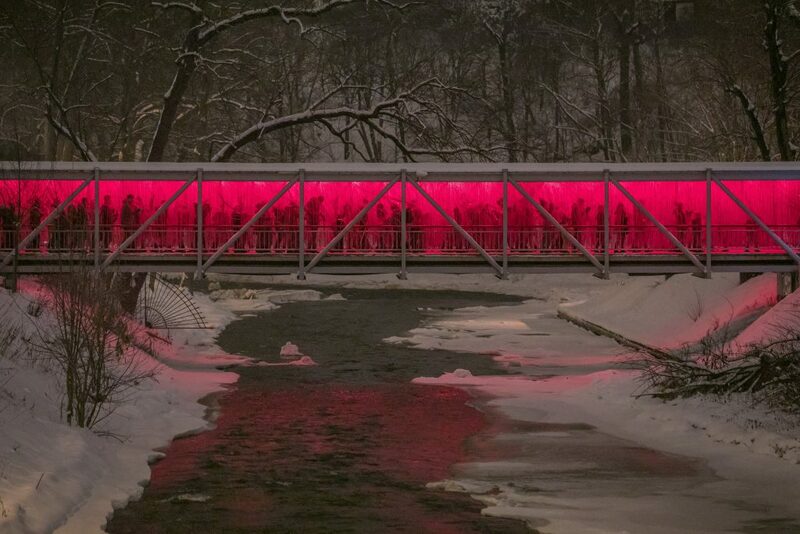 The stand of emotions created by the City of Vilnius together with the Vilnius Gediminas Technical University was among the most appreciated light objects in the 3.7 km route discussed in social networks. It would light up the monument of the Three Crosses in the colour of the emotion of the person standing in the stand. Many were fascinated by the trip on the red “Fluxus” bridge or the laser forest set up at the Town Hall Square. People enjoyed the magical flying carpets and the resonator installed in the Church of St. Catherine. “The tradition of celebrating the birthday of Vilnius created for several years burst in the most beautiful colours this year – festive events, dozens of light installations, hundreds of greetings to Vilnius and thousands of people in the wintery streets of Vilnius. I consider this to be a great start in preparing for the 700th anniversary of Vilnius in 4 years – this is when the message about Vilnius must spread throughout Europe and the world. I have no doubt that this is exactly what will happen”, said Remigijus Šimašius, Mayor of Vilnius. 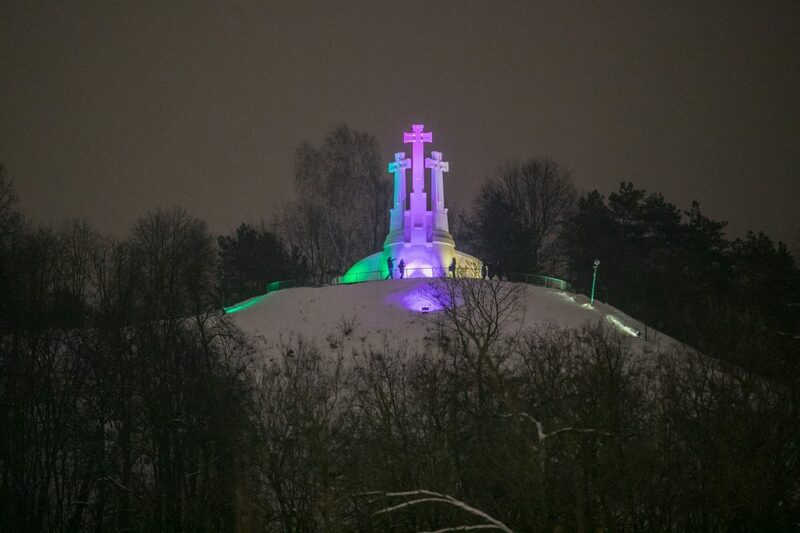 According to the Mayor, after the festival of lights received so many positive opinions, the plan is to make it a permanent tradition of celebrating the birthday of Vilnius. 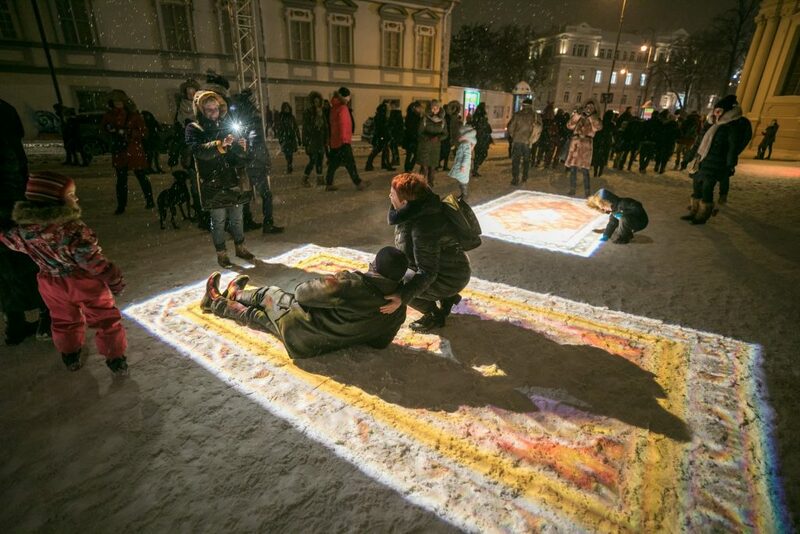 During the Lights Festival of Vilnius, the Town Hall Square, Vokiečių Street, the Bernardine Garden and other spaces in the Old Town loved by residents of Vilnius and city guests changed unrecognizably, with the illumination of the major objects, such as the Church of St Anne and the Church of the Blessed Virgin Mary of Consolation, coming as the biggest surprise, while unique installations in the city lured with their interactivity, sound or size. 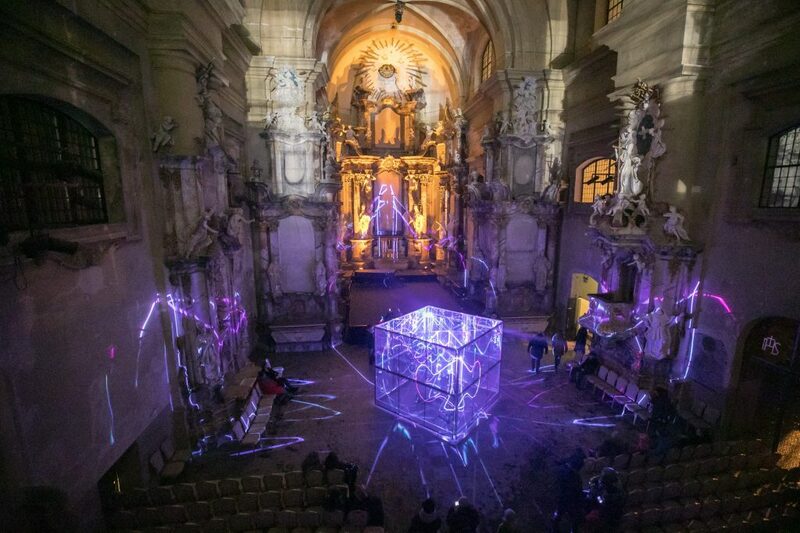 Professionals from 8 countries, including Lithuania, Portugal, Austria, Slovenia, Sweden, the Czech Republic, Australia, France and Japan, created the 27 installations of the festival.